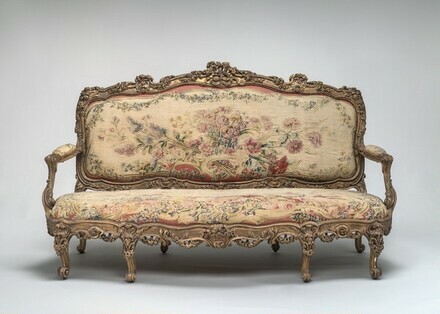 (Duveen Brothers, New York); purchased 1905 by Peter A. B. Widener, Elkins Park, Pennsylvania; inheritance from the Estate of Peter A. B. Widener by gift through power of appointment of Joseph E. Widener, Elkins Park, 1942. 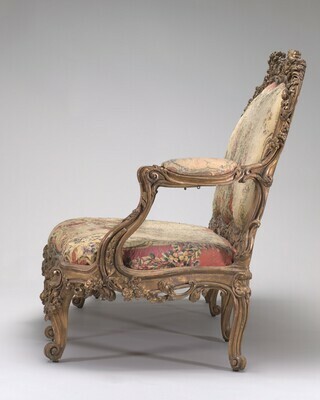 Works of Art from the Widener Collection. Foreword by David Finley and John Walker. 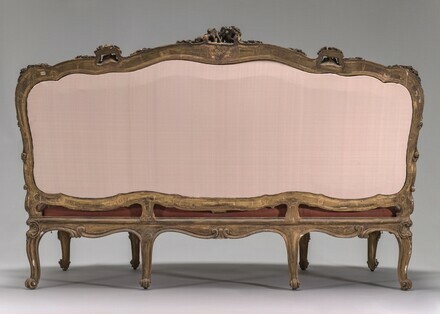 National Gallery of Art, Washington, 1942: 18, as Louis XV, about 1770, upholstered with tapestry from the Royal Manufactory of Beauvais.